We have started C Programming coding with Example Series, We have published in previous post about Fibonacci , Arithmetic , Geometric And Harmonic Series.Now we are going to Explore new segment about Special Series and Sequences. 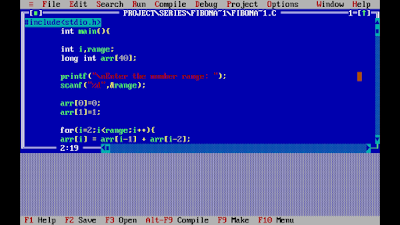 We have chosen to start with Natural Numbers and in this post you will find some basic idea and some useful concepts about Natural Numbers .In this post we are writing a C program for Finding SUM of N Natural Numbers in TURBO C/C++ Application Software / Compiler .You can download C Codes below.Please let us know your feedback. 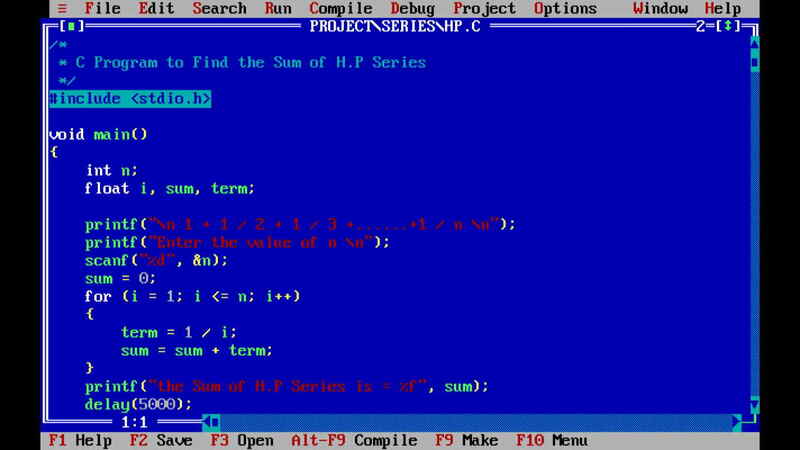 "Write A Program For SUM of Infinite HP"
"Write A Program To Find SUM of GP Sequence". 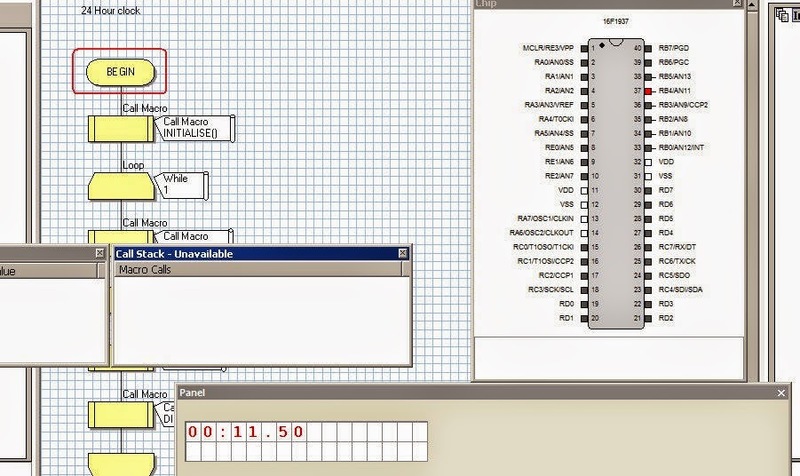 We have chosen to start with Arithmetic Series and in this post you will find some basic idea and some useful concepts about Fibonacci Numbers .You can download C Codes below.Please let us know your feedback. 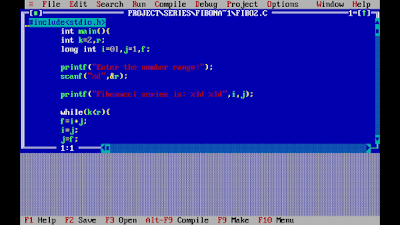 In this post we are doing again Fibonacci Series but with different approach.In last post "Fibonacci Progression Using While Loop" you will see how to generate Fibonacci Numbers by using concepts of Do-While Loop.In this post we will talk about another loop i.e. 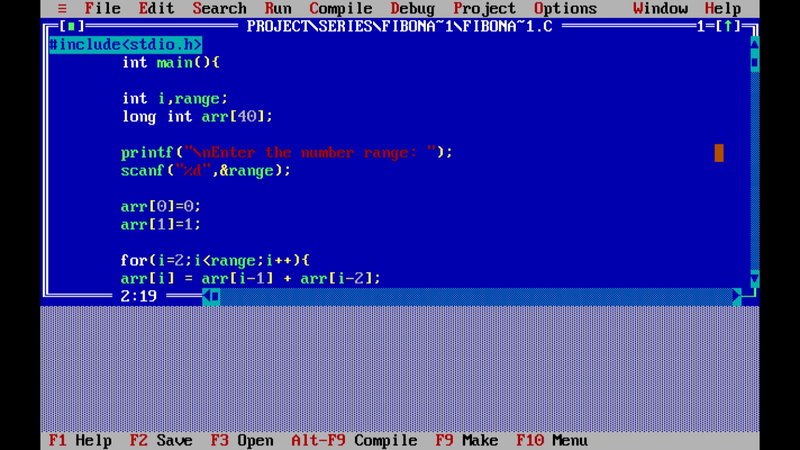 For Loop and side by side Concept of Arrays will be discussed and demonstrated. Array Concept: Arrays may be defined as a kind of data structure that can store a fixed-size sequential collection of elements of the same type.An array is used to store a collection of data, but it is often more useful to think of an array as a collection of variables of the same type. 0, 1, 1, 2, 3, 5, 8, 13, 21, 34, ...The next number is found by adding up the two numbers before it. The 2 is found by adding the two numbers before it (1+1).Similarly, the 3 is found by adding the two numbers before it (1+2),And the 5 is (2+3),and so on! 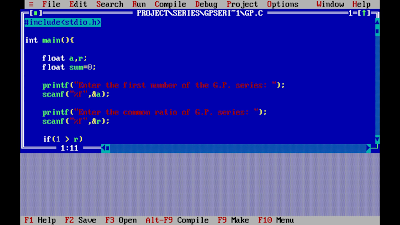 As we have started C Programming coding with Example Series, We have published last posts "Write A Program To Find SUM of AP" and "Write A Program To Find SUM of GP Sequence". We have chosen to start with mathematical series and in this post you will find some basic idea and some useful concepts about Harmonic Progression (H.P. ).You can download C Codes below.Please let us know your feedback. In mathematics, a Harmonic Progression (or harmonic sequence) is a progression formed by taking the reciprocals of an arithmetic progression. 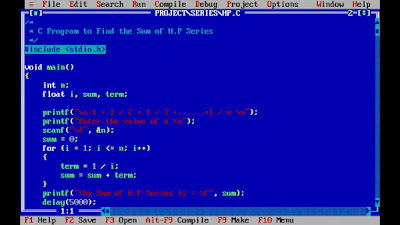 In other words, it is a sequence of the form. where −a/d is not a natural number and k is a natural number. Equivalently, a sequence is a harmonic progression when each term is the harmonic mean of the neighboring terms.It is not possible for a harmonic progression (other than the trivial case where a = 1 and k = 0) to sum to an integer. The reason is that, necessarily, at least one denominator of the progression will be divisible by a prime number that does not divide any other denominator. 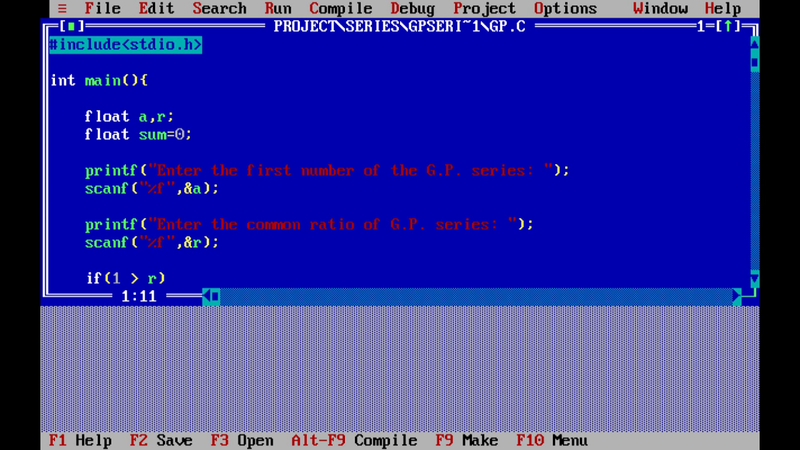 As we have started C Programming coding with Example Series, We have published last post Write A Program To Find SUM of AP. We have chosen to start with mathematical series and in this post you will find some basic idea and some useful concepts about Geometric Progression (G.P. ).You can download C Codes below.Please let us know your feedback. Geometric Progression Basic Guide:-A sequence of non-zero numbers is a Geometric Progression (G.P.) 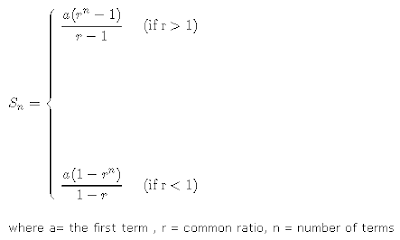 if the ratio of any term and its preceding term is always constant.